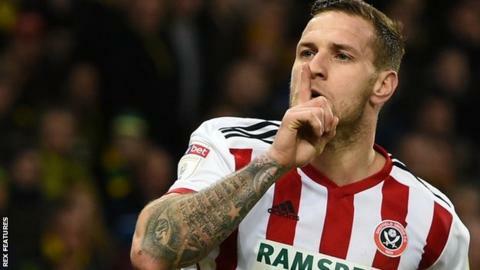 Sheffield United striker Billy Sharp has signed a new two-year-deal. The 33-year-old, who has scored more English league goals this century than anyone else, has 22 goals and two assists this season. Sharp is in his third spell with his hometown club and helped them win the League One title in 2017. Meanwhile, full-back Enda Stevens, 28, has signed a new three-year deal with the Blades, who are second in the Championship. Boss Chris Wilder told the club website: "Both new contracts are fully deserved, they have been outstanding in their respective areas of the pitch. "Billy is a natural goalscorer for us, we are delighted we have negotiated so that he can extend his period with the club. "Enda has been outstanding since he came in. The way he plays the game, he has been a very important part of our progress in the last 18 months."